Photo by Mary Sue Ittner. This member of the Cucurbitaceae family was given this name by Thomas Jefferson Howell in 1898. It is found on most of the west coast of Northern America, growing in a rich but drained soil with some water and some sun. 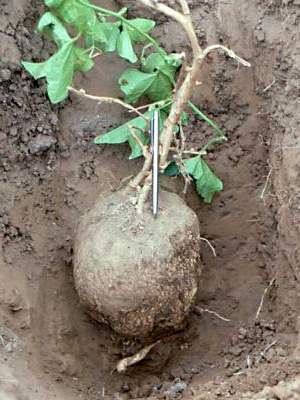 The caudex can grow up to 40 centimetres in diameter, the vines up to six meters long. The flowers are from white to greenish yellow.